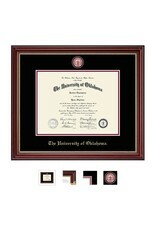 Showcases a custom-minted school sea medallion with color enamel accents recessed into black and crimson museum matting. Shown in cherry Kensington Gold moulding with gold beaded detail. 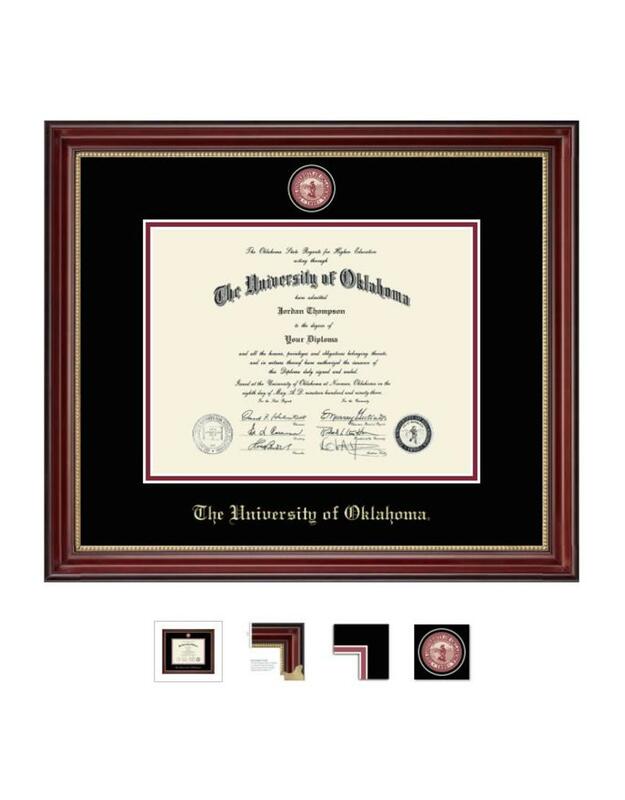 *Please note that if your degree is in Medicine, Dentistry, Law or Pharmacy, you will need to order the Ph.D. version of the frame instead of Bachelor's/Master's as the diplomas are larger for these.